That's right--last time's rerun was just a teaser for the real thing: a lovely new cartoon featuring everyone's favorite bummer topic, DYSTOPIAS. 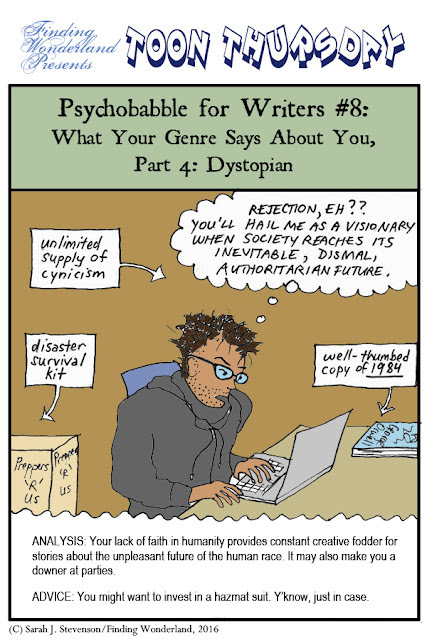 More precisely, the shiny happy people who write them. Any resemblance to existing writers, living or dead, is purely coincidental. No angry notes this time, thanks.